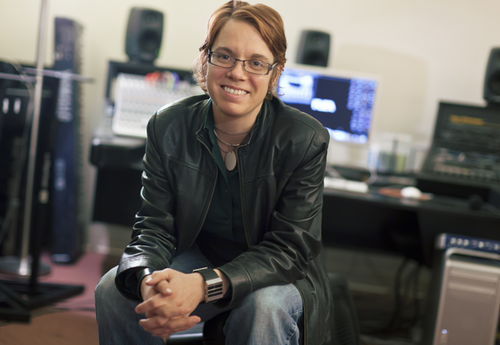 Paula Matthusen is a composer who writes both electroacoustic and acoustic music and realizes sound installations. Her work often considers discrepancies in musical space—real, imagined, and remembered. Her music has been performed by Dither Electric Guitar Quartet, Mantra Percussion, the Bang On A Can All-Stars, orchest de ereprijs, the Estonian National Ballet, The Glass Farm Ensemble, James Moore, Will Smith, Terri Hron, Kathryn Woodard, Todd Reynolds, Kathleen Supové, Margaret Lancaster and Jody Redhage. Awards include the Walter Hinrichsen Award from the American Academy of Arts and Letters, a Fulbright Grant, two ASCAP Morton Gould Young Composers’ Awards, the MacCracken and Langley Ryan Fellowship, and recently the 2014 Elliott Carter Rome Prize. Matthusen is currently Assistant Professor of Music at Wesleyan University. Matthusen will be a featured composer in the 2015 Avant Music Festival where several recent works will be performed, many of which explore the acoustic facets of city sites of historical significance through a combination of field recordings and explored resonances. The evening will include the World Premiere of new work developed under the auspices of Matthusen’s fellowship with the American Academy in Rome.